This inhumane practice is done via chemical or physical means. Both result in pain, which is amplified when the horse’s hoof strikes the ground. This causes the horse to lift his or her legs faster and higher. Chemical methods involve applying caustics (such as kerosene or mustard oil) to the horse’s lower leg and then covering the area with plastic and a leg wrap for several days. As the chemicals penetrate the skin, it causes the horse’s skin to be very sensitive. “Action devices” such as metal chains or rollers are then placed around the pastern. They slide up and down as the horse moves, hitting the pastern and further aggravating the areas already made painful by soring. Excessive weight added to the pad/package (e.g., lead). Soring is the practice of deliberately inflicting pain to exaggerate the leg motion of gaited horses, called the “big lick,” to gain an unfair advantage in the show ring. The practice is commonly used on Tennessee Walking Horses, but other gaited horses may also suffer from this practice. It has always been inhumane and unethical, but has been illegal since 1970. Despite this, the practice continues. Soring is a violation of federal law. The Horse Protection Act (HPA) made soring illegal, punishable by fines and imprisonment. This act makes it illegal for sored horses to participate in shows, sales, exhibitions or auctions. The HPA also prohibits transporters from transporting sored horses to or from any of these events. The Animal and Plant Health Inspection Services (APHIS)of the U.S. Department of Agriculture (USDA) is responsible for enforcing the Horse Protection Act. 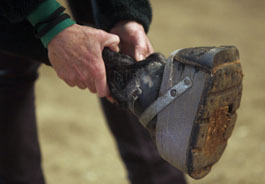 The practice of soring is condemned by many veterinary professional organizations, including the Humane Society Veterinary Medical Association, the American Veterinary Medical Association, and the American Association of Equine Practitioners. A recent Humane Society of the United States (HSUS) undercover investigation at a training barn for Tennessee Walking horses led to state and federal criminal charges against nationally known trainer Jackie McConnell and some of his associates. At the time of the investigation, McConnell was under a five-year federal disqualification from participating in horse shows―yet continued to train horses and get them into the show ring. McConnell was charged with felony conspiracy to violate the HPA as well as numerous violations of the Tennessee Cruelty to Animals Statute after being videotaped soring the front legs of horses with caustic chemicals. The footage also shows horses being brutally whipped, kicked, shocked in the face, and violently cracked across the heads and legs with heavy wooden sticks. The investigator documented the cruel practice of “stewarding”—training a horse not to react to pain during official show inspections of their legs for soreness, by striking them in the head when they flinch during mock inspections in the training barn. The investigation also uncovered the illegal use of numbing agents for the purpose of temporarily masking a horse’s reaction to pain so it can pass official horse show inspections. This investigation has prompted not only a furor of media attention but also the federal government to move toward stiffer, mandatory penalties for horse soring and other related violations of the HPA. Performance Tennessee Walking Horses are often fitted with tall “stacks” which change the angle and elevation of the front hooves and legs. Through the years, industry inspectors (part of what are known as “Horse Industry Organizations” or HIOs) cited some trainers for “soring” but penalties were not consistently meted out, and there was therefore no meaningful disincentive to stop the abuse. Between 2010 and 2011, HIOs cited each of the top 20 trainers in the industry’s Riders Cup point program for violations of the HPA—with a total of 164 citations between them. Of the violations recorded, the HIOs only issued penalties for 25 percent, most of which were mere two-week suspensions from showing. Even more disturbing, less than 30 percent of those penalties were actually served and some trainers were allowed to serve multiple penalties simultaneously. On June 5th, APHIS officials announced the release of a final rule requiring uniform mandatory minimum penalties for violations of the federal Horse Protection Act. Under the tougher rules, suspensions for two weeks to three years would bar show participation for violators and would apply not just to trainers, but also to horse owners, exhibitors, transporters and others associated with the horses’ abuse. This announcement provides much-needed improvements in HPA enforcement―finally providing some level of deterrence for lawbreakers. While this is a step in the right direction, federal legislators must amend the HPA to eliminate the industry’s role in enforcement of the Act, close loopholes that violators often slip through, and give the USDA the tools to fully protect these animals. On June 14th, the American Veterinary Medical Association (AVMA) and the American Association of Equine Practitioners (AAEP) called for a ban on the use of action devices and performance packages in the training and showing of Tennessee Walking Horses. HSVMA believes a ban on action devices and performance packages is necessary to protect the health and welfare of gaited show horses. 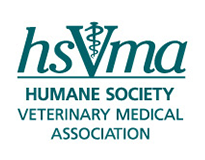 HSVMA urges veterinary professionals to contact their U.S. Representative and two U.S. Senators urging them to upgrade penalties in the Horse Protection Act, ban the action devices and performance packages, and require more meaningful enforcement by the USDA to end the abusive practice of soring.